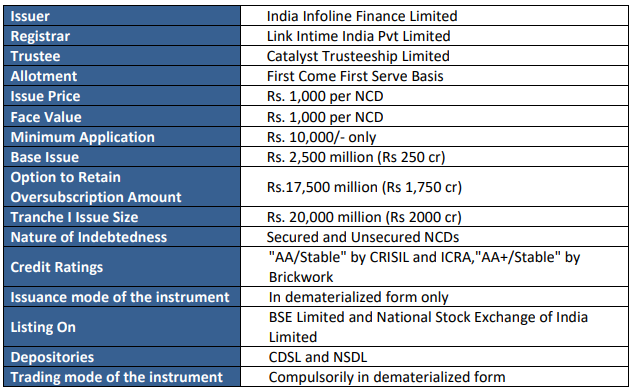 India Infoline Finance Limited has come with a Public issue of secured & unsecured NCDs. 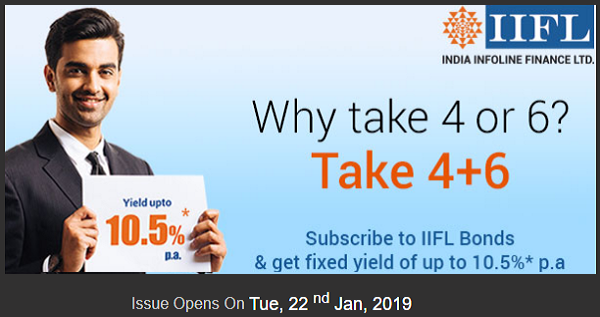 The issue opens on 22.01.2019 and closes on 20.02.2019 but the allotment is to be done only on the basis of first come first serve.The period is 39 months , 60 months and 120 months and interest is to be paid on annual or monthly basis or cumulative value can be taken on maturity. The interest rate is 9.50 % , 10.00% and 10.35% and yield is 9.60 %,10.20% and 10.50%. Details of the offer are as under. Limited liability partnerships formed and registered under the provisions of the Limited Liability Partnership Act, 2008 (No. 6 of 2009). Applicants shall apply in this Issue in dematerialized form only, through a valid Application Form filled in by the Applicant along with attachment, as applicable. Further, Applications in this Issue shall be made through the ASBA facility only. 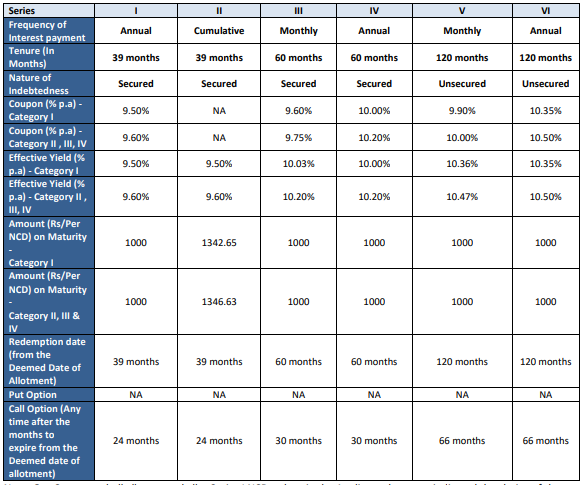 Terms of Payment: The entire issue price of Rs. 1000 per NCD is payable on application itself. In case of allotment of lesser number of NCDs than the number of NCDs applied for, our Company shall instruct the SCSBs to unblock the excess amount blocked on application in accordance with the terms of this Tranche I Prospectus. (j) Persons ineligible to contract under applicable statutory/ regulatory requirements.